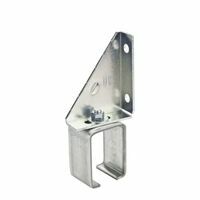 Designed for the overhead support of #5114 or #5116 box rail. Includes two lag bolts. 1 Bracket should be installed every 2 feet of rail. 300lb. safe working load.